Work on Liverpool FC’s new flagship Anfield Stadium store will start next week, with contractors arriving on site to begin construction on the two-storey development. 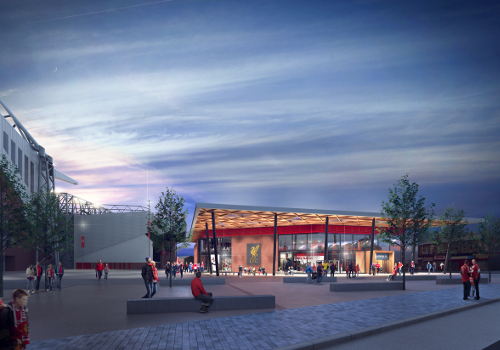 It marks another milestone in the regeneration of Anfield and forms part of Liverpool City Council’s plan to rebuild Walton Breck Road, where the club’s new store will stand. The store will offer fans a premium shopping experience with exclusive product ranges, a specially designed first floor cafe - that will open on both matchdays and non-matchdays - and an increased number of payment stations to ease checkout congestion on matchdays. With 19,500 square feet of floor space, the new store will be four times the size of the current Anfield store and will incorporate a brand new design concept. 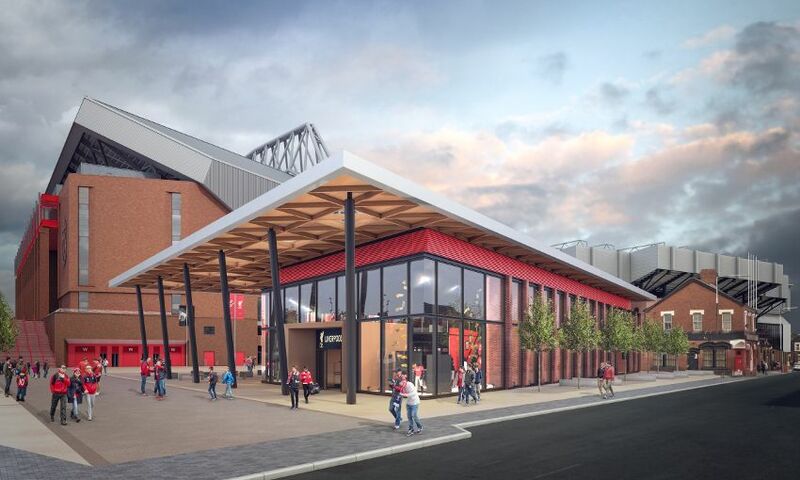 The colour scheme and materials will take inspiration from the architecture of Anfield and will incorporate design references from the original and current Kop as well as the expanded Main Stand. Billy Hogan, LFC's chief commercial officer, said: "Liverpool Football Club has an ongoing commitment to the wider regeneration of the Anfield area. This development will further enhance the Main Stand expansion as well as the Anfield high street and will take us a step closer to offering our fans the best in-store experience possible. "This flagship store will be the jewel in the LFC retail crown and it is fitting that it will be situated in Anfield – the heart of this club." Situated on the high street, the store has been designed in support of Liverpool City Council’s vision for a new-look high street. It also aims to further enhance the stadium surrounds by generating increased activity in the area and will feature a window design that will create an attractive frontage for the existing high street. The flagship store will not only stock a greater range of LFC merchandise, it will also offer fans access to exclusive New Balance and 47 Brand products through branded shop-in-shops that will be housed within the space. The number of payment stations will increase by 100 percent and the number of shirt printing locations will increase by over 500 percent in comparison to the current Anfield store. Set to open early in the 2017-18 season, the flagship store will create around 60 permanent and casual roles. 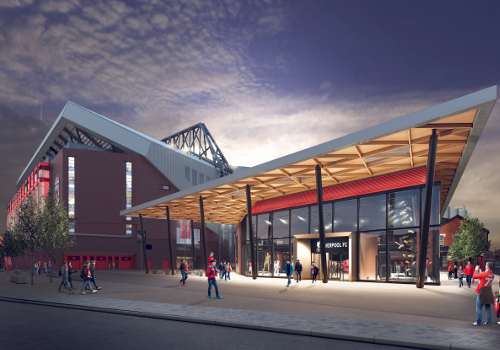 Cllr Ann O’Byrne, deputy mayor of Liverpool, said: "The new club store will be a key anchor for a new and revitalised high street in Anfield and is creating more much-needed jobs. It is hoped that it will also attract new businesses keen to take advantage of a unique location next to one of the world’s most famous football clubs, while helping to support many of the existing businesses by driving more people to the area. "It’s an important moment in the Anfield Regeneration Project that has already delivered hundreds of new and renovated homes, environmental improvements, community facilities and hundreds of jobs and training opportunities. We are also seeking other retail, leisure and food and drink operators to stand alongside LFC’s fantastic new store by investing in the new high street which will emerge over the next few years."